You won't leave your tablet anymore ! 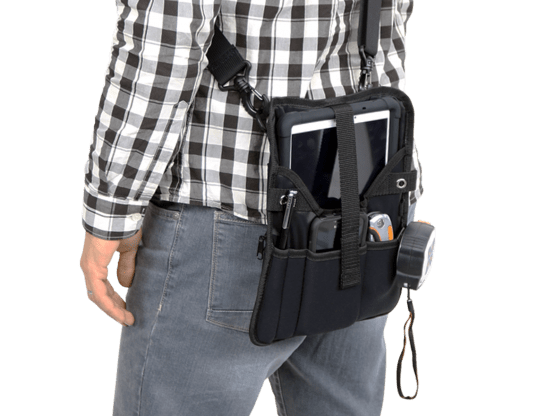 The TabSafe portability products offer a wide range of ergonomic transport solutions for any tablet. 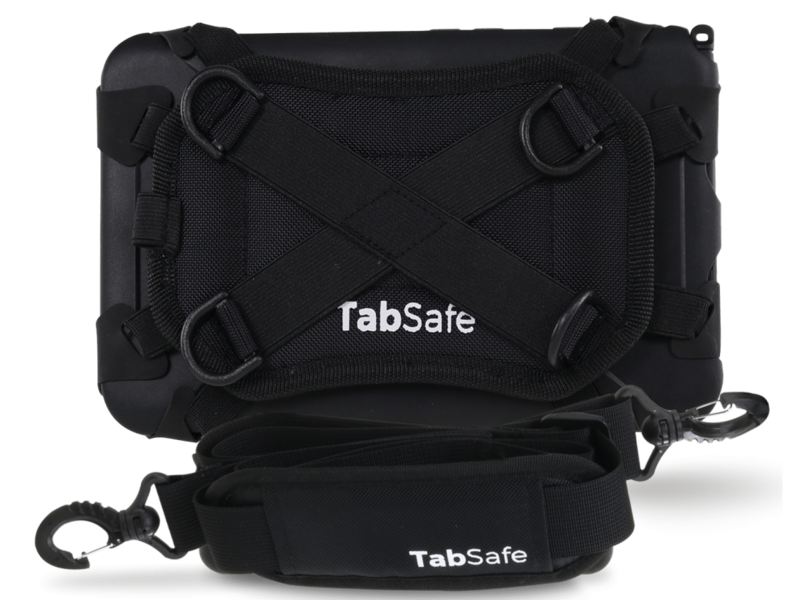 TabSafe guarantees a maximal protection of your material during transport thanks to all the portability accessories. Usefull in a restrictive environment or for travels. Keep your hands free ! Keep your tablet near you wherever you go without cluttering up your hands. 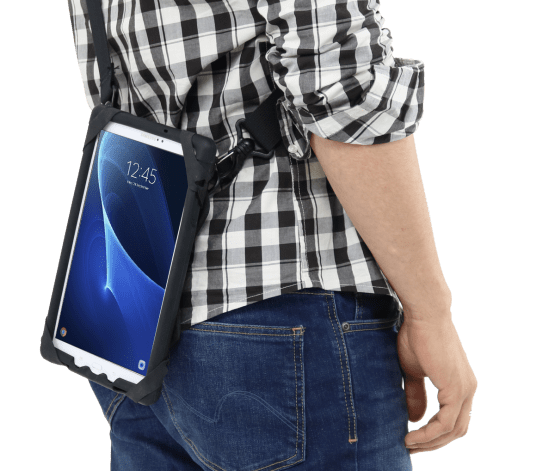 The harness clings to the tablet, with or without its SiliCase rugged case. Buy - 7 à 8" Buy - 9 à 10" Buy - 11 à 13"
The rotative handle offers an easy and secure grip of your tablet. Thanks to a robust system of elastic fasteners, it can be fixed diagonally to 2 corners of the tablet. The rotative handle is compatible with tablets all 7" to 10" inches screen, with or without rugged case.